Rita Ora was spotted partying in London on Sunday night with rumoured boyfriend Rob Kardashian. The blonde-haired singer was seen arriving at central London nightclub Whisky Mist alone, where she celebrated her debut single ‘R.I.P.’ topping the UK charts this weekend. Reality star Rob was later spotted arriving in a separate car, possibly to avoid being snapped with Rita. Rita and Rob have been rumoured to be dating since last year and are often spotted on dates together. Earlier this year, Rob accompanied Rita on her UK promotional tour for several weeks, but they are yet to confirm their romance. The Roc Nation singer was recently linked to rapper Drake, but they were both forced to deny these claims, insisting they are good friends. R.I.P toooo the girll you used to seeeeee…. *Ahem* Oh congratulations on the UK number 1 single this week Rita and Tinie! Are you sure he’s not the best in the scene? New York gal, dem a mad over we… and these London girls right here are mad over this new Nas track. As long as you don’t try and compare this to ‘That Boy Is Mine’ it’s actually a decent song…don’t you think? It’s like when Macaulay Culkin wasn’t in Home Alone 4…Nah! Film producers MUST stop this sh*t NOW! 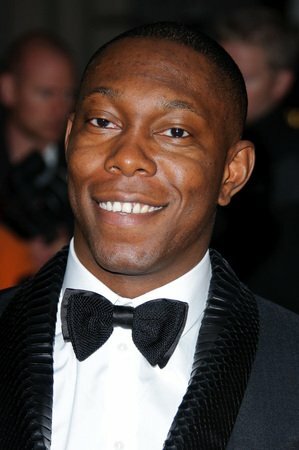 Dizzee Rascal will replace Snoop Dogg on the bill of this spring’s Snowbombing festival in Austria after the US rapper scrapped his upcoming European tour dates. The Drop It Like It’s Hot hitmaker was to be the main headliner at the Mayrhofen festival in April, alongside Fatboy Slim and The Vaccines, but he pulled out of the event earlier this month and now hip-hop star Rascal can’t wait to take his place.